Six years ago, I started writing The Client Blog with a few modest goals. I wanted to share one Client’s perspective on the creative process. I wanted to show that sometimes, Clients get a bad rap. They’re not all demanding, or unreasonable, or cheap, or difficult, or clueless. That they can be strategic, thoughtful, collaborative, generous, and creative. I wasn’t sure if anyone would care, or even want to read it. Some of what I wrote about felt a little obvious to me, and I wasn’t sure what the reaction was going to be. But what happened after the first post blew me away. People actually read it! And they shared it, linked to it, and reached out to me from around the world. Some people disagreed with some of the points I made, and I loved the debate that followed from those disagreements, and the reactions to the content I put out there were overwhelmingly positive. Somehow, a random idea I had one evening to write a blog turned into a part time job of sorts. I gave lectures, spoke on panels, got asked to be on podcasts, interviews and other blogs. I started a Facebook page, became more active on Twitter. I learned how to track data and traffic on my site, and learned about SEO and website design. And as I did more and more work with photographers, filmmakers, artists, musicians, and strategists, and then shared those learnings on the blog, I learned more, too. The whole experience was illuminating, surprising, flattering and incredibly humbling. But what the blog did for me that was more important than the exposure I got was actually made me a better creative partner, client, and leader. It also shed a powerful light on the work that my incredible team had worked so hard on, but might not have been noticed – after all, we were only a mid-sized cable network based in Washington, DC, which sometimes went unnoticed. I had always believed in the ideas that I wrote about, but I had never really concretely thought about it much. But, as with any writing exercise, when you start to write things down, it actually crystallizes what you believe in even more. And all of a sudden, my beliefs about the best way to lead or follow others down a creative path became stronger, and more well-thought out. The principles in the blog became so much clearer in my mind that I could speak about them and share with others with a greater fluency than I ever imagined. 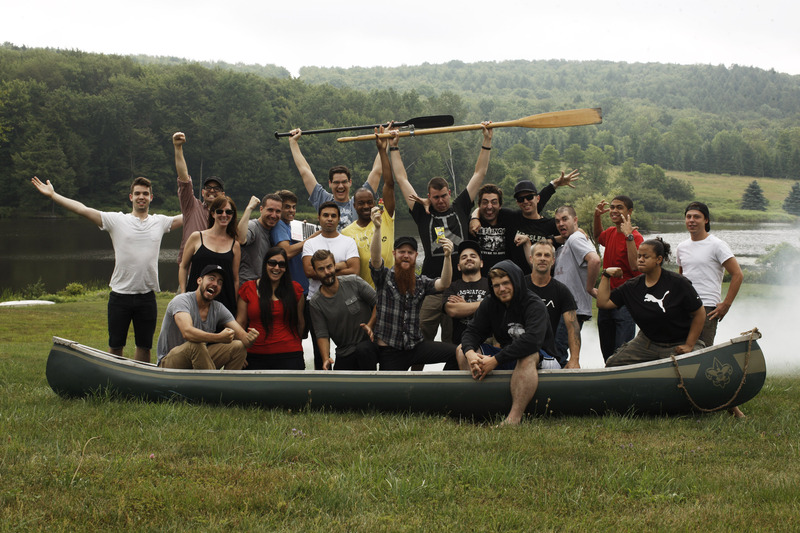 Over the course of the six years that I wrote this blog, I covered a lot of creative ground – and the lines between “Client” and “Agency” maybe became a little blurrier as a result. And that’s probably a good thing, because as long as we see these two groups as opposing forces, that’s when the challenges arise. It’s a two way street. Sometimes the Client drops the ball, and sometimes it’s the Agency. And sometimes it’s both, and sometimes – hopefully more times than not – it’s neither. Both ‘sides’ pick each other up, listen to one another, and work as true partners at every step. I hope that if you read the posts here, that maybe you took away some advice or insights to help you – and your Client, or your Agency – work better together. So yes, this is my final Client Blog post. A lot has changed for me personally and professionally over the last 9 months. I am no longer at Nat Geo, and I’ve started a new job at Netflix in Los Angeles (working in Product Creative, a team that creates the title artwork on Netflix). Change happens, sometimes when we least expect it, in the most unexpected ways. And so, with that change, as 2018 awaits us, it feels like it’s time to close this particular chapter of my story. I’m not shutting the blog down – hopefully, people will continue to find the content I put here, and maybe it will inspire them in their own creative journey. A photo from the very first post on this blog, and still one of my all time favorites. This production experience is the one that changed everything, and first inspired The Client Blog. Photo credit: Joey’s camera timer. 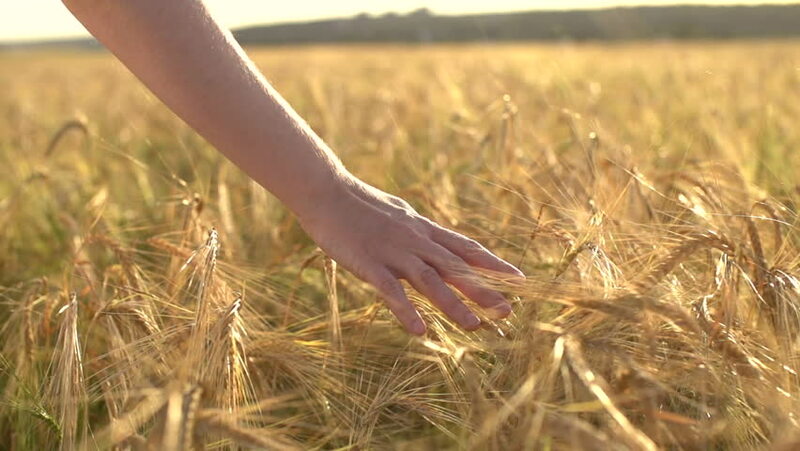 PS: I ran my hands through many wheat fields before writing this post, to gain maximum inspiration and introspection. Thank you for sharing your unique perspective and insights. It’s been a valuable tool I’ll continue to share and learn from. Best on all your endeavors. No! You opened my eyes to new ways of thinking about process and collaboration. Thank you for all that you’ve shared!